Umbrella Corporation tries to re-open the Hive but the infection quickly spread to Raccoon city. As the army seals the city behind walls, Alice and other survivors get trapped inside and have to fight their way out. 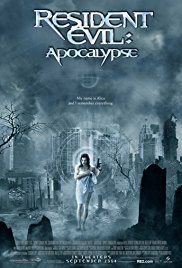 I know the vast majority of horror fans prefer the first Resident Evil movie, but to me, Apocalypse is by far the best installment of the franchise. 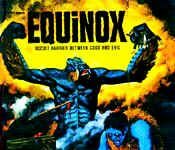 Whereas the first movie was more of an action/commando movie, this sequel is now a proper zombie movie and not some video game adaptation. I loved the post-apocalyptic atmosphere created by having all the characters locked up in the city and leaving them to fight for they life with what they have. The Nemesis is really a awesome monster too, superbly designed, one of my favourite horror villain! The only drawback, in my opinion, is the characters of Jill who is really to much (the others are also too much sometimes, but to a lesser extent). Highly recommended to any zombie lover, and not only to Resident Evil fans.